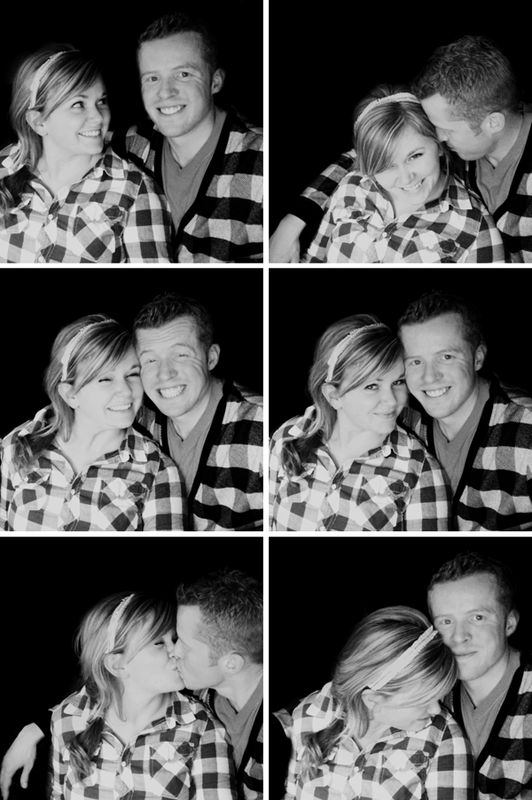 14: He lets us have a little photo-booth session every so often just because I think it's fun (especially when he sneaks a kiss and I get embarrassed and then we make goofy faces—we're really good at goofy faces). Annnnnd then he looks really cute in all of the photos. 1,526: He has decided that his black checkered cardigan (shown above) is his favorite jacket and almost every morning I hear, "Can I wear this with my cardigan?" and I usually give him a straight answer and he either slips it on or selects something else and we go on with our day. And this is very cute. I'm not complaining or teasing, I love a guy in Sperry's and a cardigan. Changing the subject, we went on a date to Costco last night and it was super mushy, romantic. Actually we went to The Old Spaghetti Factory for dinner first (because you're not supposed to shop hungry with Jason or he will get very grumpy very fast) where we shared our meal and skipped out of there spending less that $20 and both feeling full in our bellies. If that's not super mushy, romantic I don't know what is! I had one rule for our date night: absolutely NO talking about work or school. And boy! It was sort of awkward in the begining to try to think of something else to talk about, but then we remembered how to have a normal conversation about everyday other things and it was like a breath of fresh air. I like dates. Especially super mushy, romantic ones with spaghetti and Costco. was there ever a better-looking couple to walk the face of the planet? NO! you guys are SO CUTE! I'm a big fan of the spag. factory :) I love when husbands do cute things! That's hilarious that Jason asks if he can "wear this" with stuff. Reminds me of another guy I know... That Old Spaghetti place sounds fan-freakin-tastic right about now! okay, number one, you two are the cutest. and number two, i love this post. loooove it. i love that you got embarrassed after he kissed you in the photo booth. so cute! And great date rule... I may implement that tonight!